Luxcoin is often considered one of the most promising GPU minable coins. It is resistant to ASICs, it can be mined by CPUs (though it’s not the most profitable coin to mine with CPU) and it is backed up by a real product. This means that Luxcoin will more likely experience a growth in popularity and demand in the near future. Few days a go ago, the algorithm behind Luxcoin has been updated. 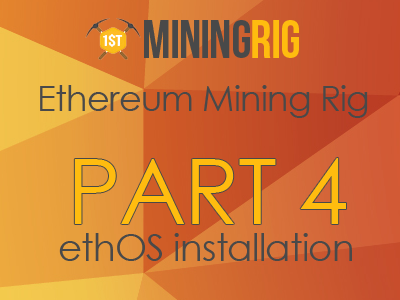 The new PHI2 algo is even more miner-friendly and consumes up to 60% less energy compared to other mainstream algorithms. Besides the obvious benefits, those changes keep ASICs away. To know more about Luxcoin, check this review. Luxcoin can be mined both with AMD and NVidia GPUs. In this guide, I will walk you through the complete set up process. If you don’t have a Lux wallet yet, in this guide you will learn how to get one. Go here, in the ‘Resources & Guides’ section click on ‘Download Wallets’ and select the option that suits your OS. Optionally, you can download the source code and build it on your own. Note: Some Anti-Virus software might block the wallet from running, connecting to the Internet or even downloading. If this is the case, you’d have to create an exception rule for it to run. Post a question in the comments section if you need help with that. I have tested the new PHI2 algorithm with different Nvidia GPUs, for hashrate results check below. Mining software developers have been showing interest in this coin too. Just a couple months ago we could mine Lux with Nvidia cards only. Apparently, not anymore! Since Lux has announced a reward for those who would create a decent Lux miner for AMD, two competing miners have emerged and are now under active development. The first one is zjazz – a closed source miner with an inbuilt dev fee of 1%. Its main limitation is that it is only available for Windows at the moment. The second alternative is an open source miner by fancyIX. It is slightly slower than zjazz but in exchange it can be used in any of the following systems: Windows, Linux. There are about thirty pools to choose from, my advice is to try at least few of them to see which one suits you the best. As for today, mining LUX might not be too profitable – the coin is new and most of the products that work with the coin are still being developed. I do believe that soon we will see its true worth, though. Many respectable investors and entrepreneurs believe in Luxcore (the project behind Luxcoin) and if the project takes off as expected, we might see Luxcoin skyrocketing in price. Is this a good time to mine LUX? I believe it is. If you are not in a rush to get immediate return from your mining, you might want to give Lux a try. Personally, I will be mining some coins and hold them for few months, see how it goes. What about you?